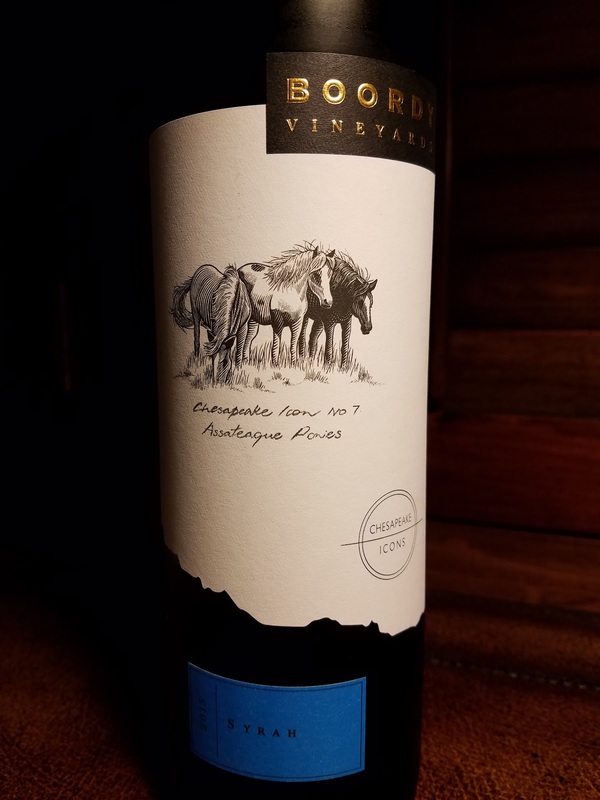 This "Wild Ponies" wine from Boordy Vineyards, just northeast of Baltimore, is named after the wild ponies that reportedly came ashore at Assateague Island from a Spanish shipwreck in the 17th century. It's a Syrah, and a pretty good one, too. It's a bit different from French or California Syrahs I've had, in that it has a deceptively simple approach and relies less on wood aging. The labels of the Chesapeake Icons line are fantastic, each highlighting a different facet of Maryland wildlife. 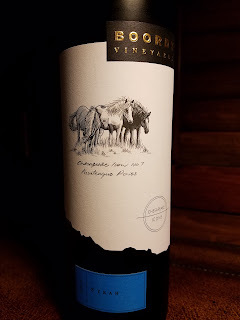 The Boordy Vineyards Chesapeake Icon No. 7 Syrah 2015 is aged for 14 months in a mix of stainless steel, American and Hungarian oak barrels. Alcohol hits a reasonable 13.5% abv and it retails for $15. This Maryland wine is a deep, rich purple in the glass. The nose is earthy and brawny, full of black and blue berries. It is somewhat reminiscent, when chilled, of a good Lambrusco. The flavors are as dark as the aromas. Oak is not overly pronounced and the finish leans more toward blackberry than blue.